I'm getting my X tommorow! Oh yeah! Totally getting Chespin, by the way. I'll getting Y and I'll likely run with Frokie fyi. My opinion on the Aggron and Tyranitar megas are an inverse of yours Ferrety, I think Aggron's is rather nice while Tyranitar's is kinda meh. And finally in response to the starter final evos... Chespin pulled a shelgon and everything was great. I kinda miss Chespin's old look, with more green and brown. I'll still get him, doubtless. Gengar is freaking terrifying now. I've pre-ordered X, so I'll be getting a Pokemon game soon after its release for the first time ever. I only need a 3DS to play it on; I'll get one after the HSCs. Also, what do you think about Charizard getting two mega evolutions? 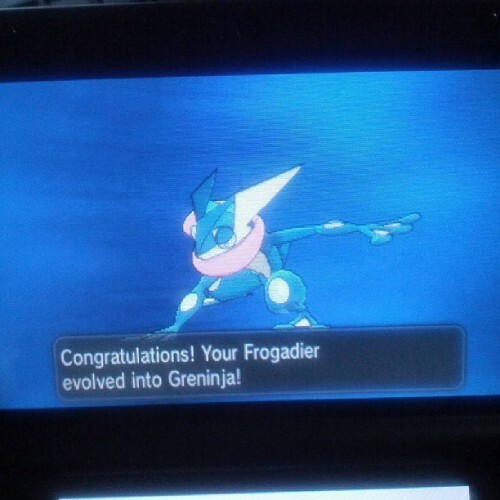 Does it mean that every starter has to eventually get one? 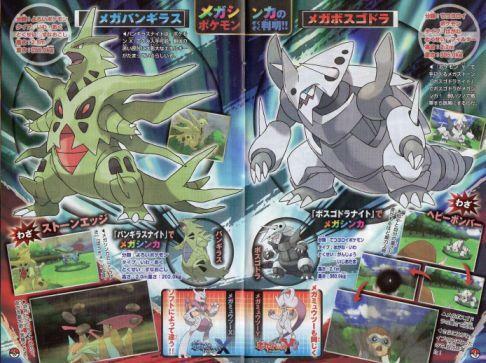 And does it mean that there'll be a third mega evolution when Z comes around? (Probably a green Charizard, judging by the way his colours are changing). I think I'll just leave this here. I think Gamefreak has topped themselves with a Keyring Pokemon. Also, does anyone else just want to see a regular old evolution to an existing Pokemon? 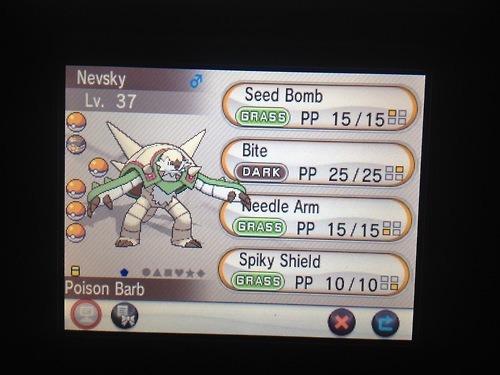 welp, I've been playing Pokemon X for a few hours now, here's my team so far. After Playing for some hours I thought I should post my team here. EDIT:Updated to post mega evolution obtainment. EDIT EDIT:... And then a ton of evolutions. Oh man, I just beat the game. Also, HELPFUL INFORMATION for Kitty; your Friend Safari has Lampent and Phantump. So my Friend Safari type is Ghost? Cool. Thought I'd post my team before I take on the Elite Four. If anyone wants to add me for Friend Safari purposes (or battling, for that matter). Good luck, by the way! Put your Friend code in Ferrety. Also, beat the game, The dragon E4's Altaria was a pain, the Water's Gyrados even more so. Got your code in Kitty. 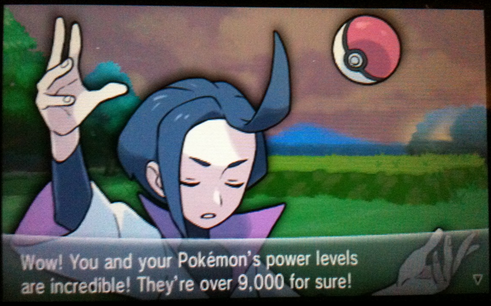 I was about to check the third Pokemon on your Friend Safari, Naboo, but I got challenged to a battle. I can say that you're Normal type and have Dunsparce and Loudred, though. Finally got around to defeating the Elite 4. The initial 4 were a sinch, but the champion's Gardevoir really messed me up some. I just tried yours, apparently your type is Poison and it gets me Serviper, Swalot and Drapion. Thanks, that isn't too bad. Sorry if you guys already know this but I felt the need to tell you. 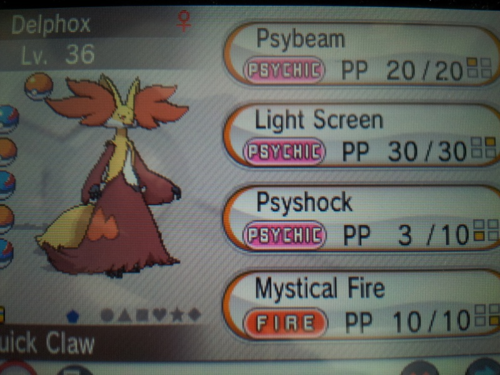 Holy crap Flareon now has Flare Blitz. That was a nice battle, Naboo. Do you particularly care if I post the battle video up?